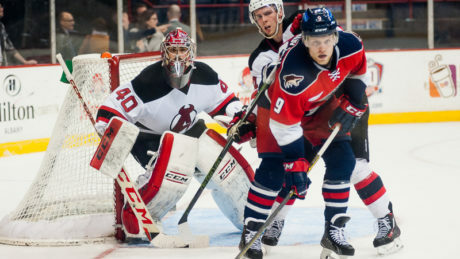 The Falcons scored three goals during the first 10 minutes of the third period to defeat the Devils, 5-4, Saturday at Times Union Center. 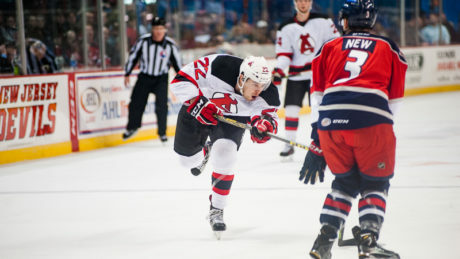 Watch highlights of the Devils 5-4 loss against the Falcons. 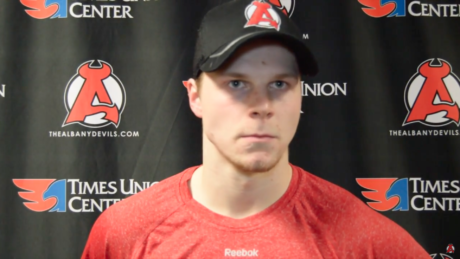 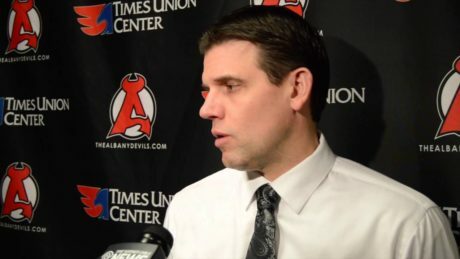 Rick Kowalsky addresses the media following the Devils 5-4 loss against Bridgeport. 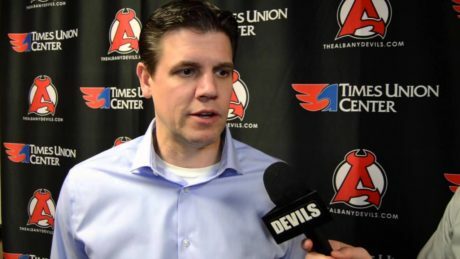 Head Coach Rick Kowalsky previews the Devils Saturday contest against the Falcons. 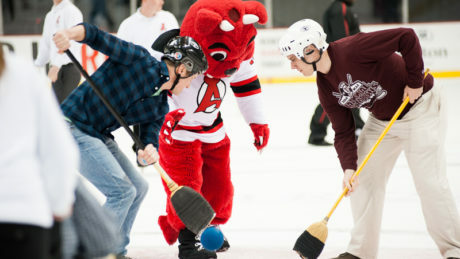 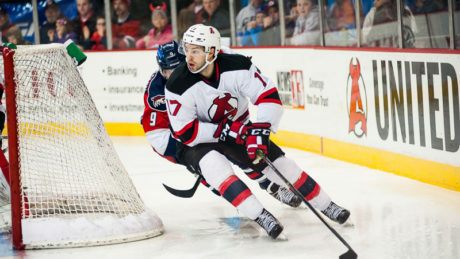 The Devils learned a lesson in Saturday’s 5-4 loss against the Falcons. 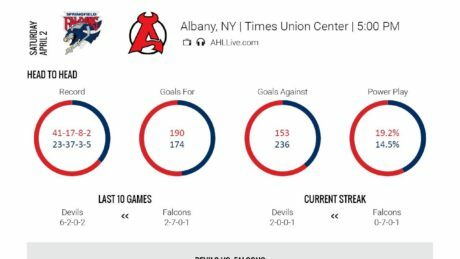 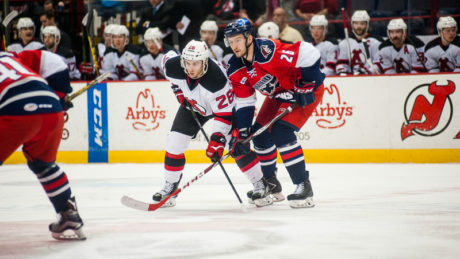 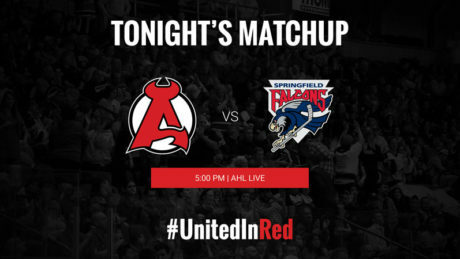 Coming off a 2-1 overtime victory Friday to start a three-in-three weekend, the Devils return to Times Union Center Saturday for a 5 pm outing against the Falcons. 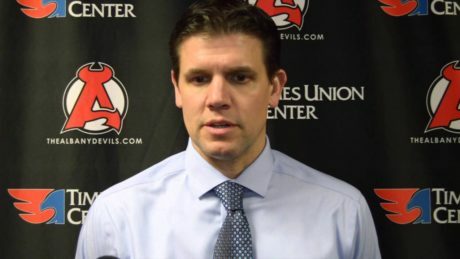 Head Coach Rick Kowalsky breaks down the Devils 4-1 win against Springfield.